Home » All Forums » [Miscellaneous Forums] » Miscellaneous - Food Related » Don't recycle those pizza boxes!!!!! Helpful ReplyHot!Don't recycle those pizza boxes!!!!! Don't recycle those pizza boxes!!!!! Like most Americans, we eat a lot of pizza. We get takeout pizza at least once a week. For years, since my town started to recycle, I have put the used (fairly clean) pizza boxes in the cardboard recycle area. My neighbors have done the same. Those that didn't got a gentle reminder from the transfer station staff. It turns out that the pizza boxes are not liked by Chinese mills, and with higher quality scrap available elsewhere, they are not buying American cardboard scrap. It is getting to be a problem. Now that recycle companies are running out of space, they are finally educating us to NOT recycle pizza boxes. My bona fides - I worked at a waste processing facility as a summer college job. 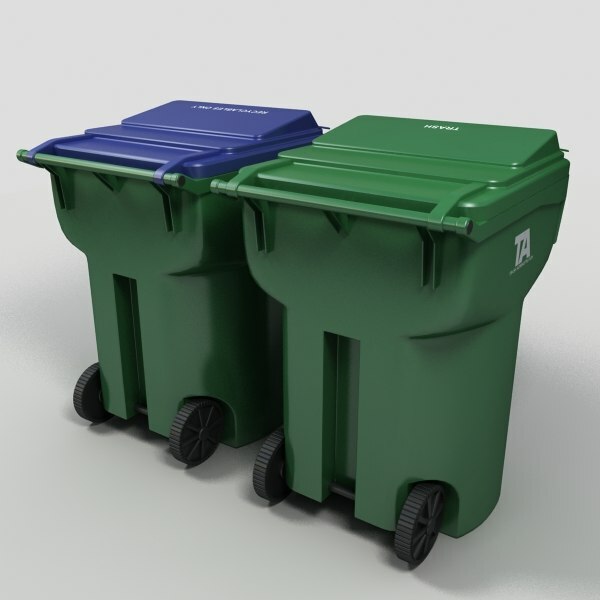 They tell us not to put plastic grocery bags and Styrofoam egg cartons and food containers in the recycle bins. However grocery chain stores have bins for them. What do the grocery chains do with them? They recycle the bags into new bags and outdoor garden supplies and building supplies. A few companies are recycling water bottles into yard furniture and park benches. I gifted an awesome Adirondack chair. We follow the same rules here, and when in doubt we let the recycling company make the final call. I recently read/heard somewhere that recyclers would prefer that people not rinse out any empty detergent bottles and jugs submitted for recycling. Apparently the residual soap helps with the cleaning process. True confession: on my twice daily drive past it, I used to empty my car ashtray on the driveway of a U.S. Senator noted for negligently drowning a young woman. Now, I realize that was horribly passive aggressive. But, it was somehow satisfying as citizens of his Commonwealth kept re-electing him. When a rider in my car would question this I'd say that I am simply creating jobs for litter gatherers. Now, of course, he's gone and so are car ashtrays. When I was provided only one rolling garbage can and one small 'recycling bin', everything went into the rolling can. I really didn't want to add unnecessary decisions to a very busy career and I didn't want to make two trips down the driveway on garbage day. So now I recycle like a "good boy" because I can get both to the curb in one trip. And decisions are easy to take: if it's going to rot or clog the disposal: garbage; if not: recycle. Typically, the recycle can is by far the heavier of the two. Frankly, I still believe that recycling is 95% virtue signaling and 5% economically wise, but as the provision of two cans do not task me unduly, I am happily compliant. And, I am creating work for recycling sorters. In sum, I have not been "quilted" into compliance; it is only that I presently find it to be largely mindless and convenient. But, should it keep up, stuff like this pizza box foolishness will surely reignite atavistic behavior in me. I simply will not be tasked for others' presumptions of virtue. The end times says hello. You must have lived down the street from my sister and brother in law. I get it . You must have a special new job waiting with the Donald's carnival. In Southern Ohio we actually have to pay $3 a month to recycle, so most people around here don't but we do. My toughest decision is whether to hand-wash recyclable containers that are heavily soiled, since wasting a ton of water would seem to off-set any positive benefits of recycling. Even though we are moving back to Northern Virginia it is for family and decent golf courses, not a job. Nevertheless, thank you for your kind advice. We get a lot of boxes of leftover food from the food banks in our area. We use the food for our pigs. Every few weeks we have a truck load of broken down boxes to be recycled. I got a lesson a few weeks ago telling me they can't accept the waxed boxes. These are the kind of boxes used to hold things like Broccoli that delivered to supermarkets. At $3 per month, you are spoiled rotten. We don't recycle because it costs more than our trash service, is on a completely different day, and the list of exactly what you are allowed to recycle and how you are allowed to put it in the bin is longer than my arm. Everything must be washed (not just rinsed, washed) before putting it in, all labels must be removed, etc. I would love to recycle, but when it's cost-prohibitive and also requires a great deal of my time, I see no point. At my office, on the other hand (which is in the city) the requirements are simply "toss things that can be recycled in this bin, take it to the curb every other week." Done. Tear off the clean top and recycle it, then trash the soiled bottom. What do grocery chains do with the Styrofoam? I recently read an article on this subject. From what I gathered, the Chinese are after the highly prized recycled office paper. But, with co-mingle recycling, the office paper is getting dirty from pizza cheese, yogurt and such, making it less desirable. So, in the recycling industry(the buyers), the move is on to do away with co-mingle. Also, they stated that around 30% of co-mingled recyclables in up in a landfill! Not a problem in Ohio. We don't have pizza. We have some Pizzas that taste like boxes. You must have purchased them at the same place we did. Hey, come up to New Jersey. Great pizza and no box crust, guaranteed !! We share much. When I was a kid living 25 miles from downtown Pittsburgh we had a burn barrel in the back yard. Even after they started picking up garbage in 1955 (or so) we still burned what wouldn't fit into the can. Later, living here with my four kids and paying hefty taxes I was more than a bit put off when they would start nagging me with the "feel good" environmental propaganda that their young brains were being washed with at school. The true economic question is how much extra will extra improvement cost? And, given that resources are scarce, what other "desirables" would we be forced to forego were we to devote those extra resources to further environmental improvement - most especially if it were to result in only negligible further gain? Right--- those are the same questions that would have been asked (perhaps by you if you went back in time) in 1954 and you probably would have answered them the same way. The more recent pictures you posted may then have looked a lot more like the original. Oh, you've been to Central Ohio. Even in 1954 (at 6) I was aware that there was pretty much universal agreement that Pittsburgh needed to 'clean up'. During WWII the city's steel industry produced more steel than the Axis Powers combined, so women having their nylons melt on their legs and men having to take a change of shirts to work was tolerated. In peacetime such came to be intolerable and Pittsburghers resolved to clean up the city and did so on a largely voluntary basis. 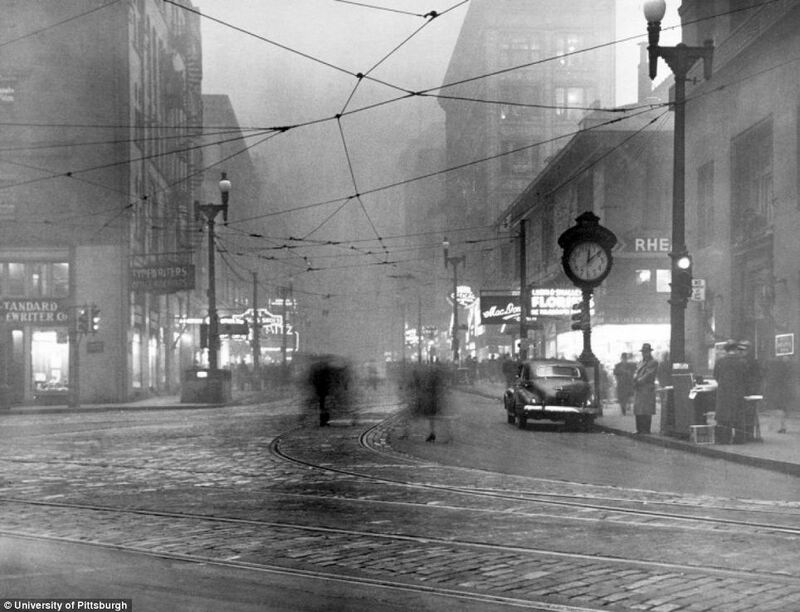 This was called "the Pittsburgh Renaissance" and the clean-up was achieved without any EPA mandates or Federal Funding. In fact, Pittsburgh's success in these endeavors partly inspired the Nixon Administration to found the EPA in 1969. "Your room is a mess, your mother notices, and tells you to clean it up. What do you do first? In just a few minutes you've made your bed, picked up your dirty clothes and thrown them into the hamper, and generally "straightened up your stuff". On a scale of 1 to 100 where 1 is the mess your room was before and 100 is a 'clean room' where the CDC handles the Ebola Virus in that first half an hour you went from 1 to 70, so you proudly show it to mom. She notices some lint on the carpet and tells you to vacuum. A second half an hour later you are at an 80. Mom comes in and sees dust. So you spend a third half hour dusting and get it to an 85. Mom comes in wearing white gloves and swipes the baseboards. A fourth half an hour later you're at an 88. Mom comes in with a small ladder and notes dust & dirt on the doorframes and light fixture ... at this point most likely you tell mom that if you don't finish your homework you'll never graduate, never leave, and regardless of how much time you spend cleaning your room it will never be acceptable for handling dangerous viruses!" At this juncture my students understand intuitively the Law of Diminishing Returns. Sadly, the oh, so well-intended EPA, for sake of bureaucratic growth and self-perpetuation chose to begin ignoring it years ago. And for many in the body politic worthy goals and voluntary efforts have transmogrified into worship demanding Mother Gaia and mindless mandates. For me, that kind of takes the "feel good" out of it. So my pizza boxes will continue to go into the recycling bin. The law of diminishing returns is well understood and intuitive and your explanatory example is spot on. If you consider your example in the context of our society the mother is a stand in for the EPA and the son for us. He w as not voluntarily keeping his room neat and clean and his mother stepped in to regulate his behavior to achieve an acceptable room environment. At what point enough is enough is always a point of debate as diminishing returns begin to become apparent. But again looking at your example and the son's efforts improving conditions all the way up to 88 out of 100, what do you think would happen if the mother stopped caring and stopped nspecting ? We recycle at my house. No-one picks it up and we have to take it to the recycling center ourselves. Our house generates about 4 bags a week and we usually have some paper and corrugated that goes, too. We only generate about 2 bags of non recyclable garbage a week. I'm pretty glad we get to remove a fairly significant amount from our local landfills and see it get recycles. That's just the responsible thing to do. Well, to continue with the analogy, in my youth Pittsburgh (the son) came to the conclusion that its 'room was dirty' on its own; i.e., no "mother" (the yet to be formed EPA) was necessary to force the cleaning effort. The clean-up was largely voluntary, as were Los Angeles' efforts in the pre-EPA 1960's to address their "smog" problem. Once one understands the Law of Diminishing Returns (articulated by Adam Smith and David Ricardo in the 18th.Century) the question arises as to how to make rational decisions based upon it. My first words to every economics course I have ever taught: "The economic problem is that resources are scarce and human wants are effectively unlimited. Economics is The Science of Choice ... how to effect an efficient allocation of scarce resources among competing ends". These first words are by no means unique to me. Everyone who has ever taken a course in economics has heard close variants of them. Did you know that your Cheerios contain vermin excrement? Unfortunately they do. Why then would the FDA permit that? The FDA standards allow for very low levels of contaminants in both foods and drugs because they are unavoidable in the manufacturing process. However again I ask you, without the FDA regs what levels do you think there would be? First, the answer to my question: because nobody would pay $1,000,000/box of Cheerios. As Nixon would say: Let me be perfectly clear ... I am not against the EPA, the FDA, the NTSB, etc. What I am for is the rational use of cost-benefit analysis in evaluating potential regulations, not "feelings" or irrational fear. As you correctly observed, there is a point where further reducing the vermin excrement in Cheerios would yield no benefit, yet cost a lot. And, in principle, having a Federally-funded FDA is a good idea. (Thank you, Teddy Roosevelt and W.H. Taft!). But, it is a "good idea" only insofar as their decisions are based on the rational use of cost-benefit analysis in evaluating potential regulations, not "feelings" or irrational fear. By the same token, the EPA was a wonderful idea until it transmogrified into a tunnel-visioned, self-perpetuating, ever-expanding bureaucracy guided by and staffed with individuals promoting political ends which were no part of their original charge -- which was to internalize negative externalities and mitigate (not vitiate) their social cost. BTW: Clearly, we both desire the same ends; when there is simply a quandary about the most efficient means to achieve our common goals, rational discourse is possible. Thank you.